President of the Nigerian Baptist Convention (NBC) and candidate of the Christian Council of Nigeria, CCN, Rev. 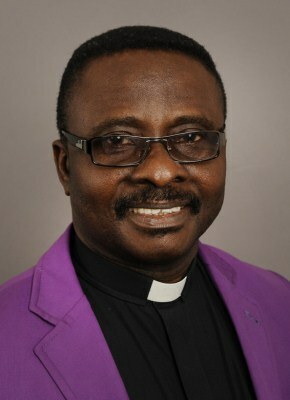 Samson Olasupo Adeniyi Ayokunle, Tuesday emerged the new president of the Christian Association of Nigeria (CAN). The outgoing president of the body, Pastor Ayo Oritsejafor, announced the result of the election at about 2:30 p.m. to a rousing applause of National Executive Council delegates from different parts of the country who had converged at the National Christian Centre in Central Business Centre of Abuja. By the CAN constitution, Prof. Joseph Otubu who emerged runners-up in the elections automatically becomes the Vice President of the Association for the next three years of the soon to be sworn in administration.